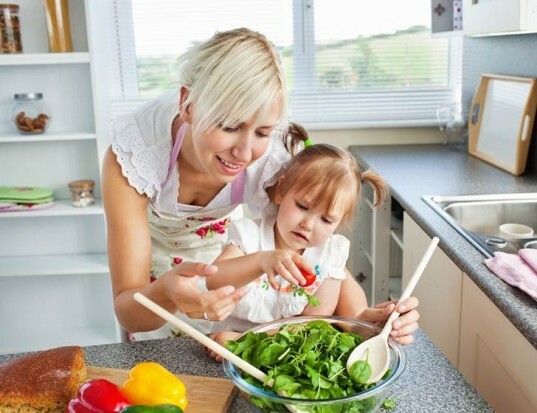 Parenting involves juggling an overwhelming array of issues, from avoiding chemicals such as BPA, to making sure your kids are eating organic foods and that they are getting enough exercise -- to name just a few! It's hard to focus on everything, and some vital areas of concern may slip through the cracks. However, lead is one issue parents shouldn't ignore, because it poses a major health risk for young children. The U.S. Environmental Protection Agency (EPA) states that if your child is exposed to lead, even at very low levels, it can lead to many problems, including learning disabilities, lower IQ, decreased intelligence, speech, hearing, and language problems, behavioral problems and other life-long health issues. Additionally, a brand new study by the Centers for Disease Control and Prevention (CDC) has found that kids are more exposed to lead than ever. The new research, based on data compiled by the CDC between 2007 and 2010, shows that about 535,000 children ages 1 to 5, had elevated blood levels of lead in their little bodies -- above the estimated safe level. However, it's important to note that the CDC, among other health organizations, says that there is absolutely no known safe level of lead in kids. Worse is the fact that lead exposure and lead poisoning often occurs with no obvious symptoms, so it frequently goes unrecognized. Double worse, the CDC notes that once major lead exposure has occurred, the effects cannot be corrected. The best thing you can do is learn to protect your child from common sources of lead. Keep reading to learn more. Although lead poisoning often occurs with few symptoms (at first) it’s still wise to know the signs of lead problems. The CDC notes that lead poisoning is 100% preventable if kids are kept from coming in contact with lead and if parents make sure kids who have been exposed to lead are treated immediately. 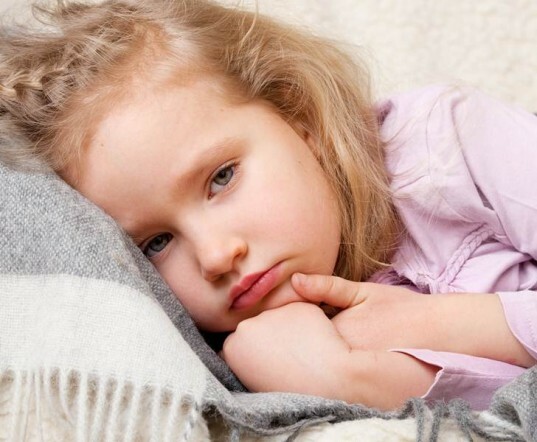 The signs and symptoms of lead poisoning in young children may include irritability, weight loss, fatigue or general sluggishness, abdominal pain, vomiting, constipation and learning difficulties. Babies who are exposed to lead before birth may show signs of learning difficulties and slowed growth. Adults exposed to lead may experience high blood pressure, declines in mental functioning, pain, numbness or tingling of the extremities, muscular weakness, headache, abdominal pain, memory loss, mood disorders, reduced sperm count, abnormal sperm, and miscarriage or premature birth in pregnant women. As you can see, many of these symptoms are easily confused with other issues, so if any of these symptoms are present, it’s best to see a doctor. What’s even better is to prevent lead poisoning before it hits your family — especially considering that the worst symptoms usually won’t appear until very dangerous levels of lead have accumulated in the body. The EPA and CDC note that the major sources of childhood lead exposure include lead-based paint and lead-contaminated dust found in deteriorating buildings. The CDC recommends you talk to your local health department about testing for paint and dust in your home if your home was built pre-1978. You should watch your child around the home, especially if you have peeling paint or chewable surfaces painted with lead-based paint. One of the reasons young kids are so susceptible to lead poisoning is because they put everything in their mouths and they think chewing on old home windowsills, rails and other areas of the home is super fun. 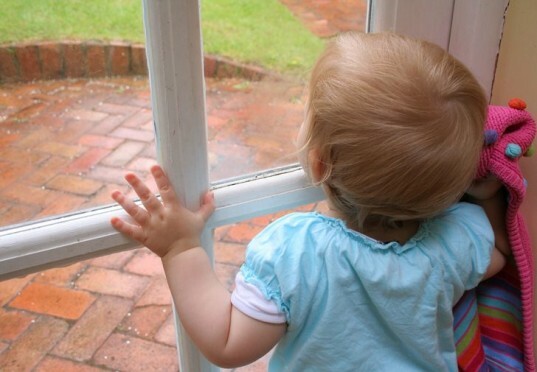 Lead Free Kids has an extensive guide about how to make sure your home is free of lead. They offer tips for home buyers, renters and renovators. Keep in mind that outdoor spaces can contain lead as well. The EPA recommends planting grass on areas of bare soil or covering the soil with grass seed, mulch, or wood chips. The simple act of tidying up can reduce your child’s risk of lead poisoning. Cleaning surfaces regularly helps keep lead-based dust at bay. 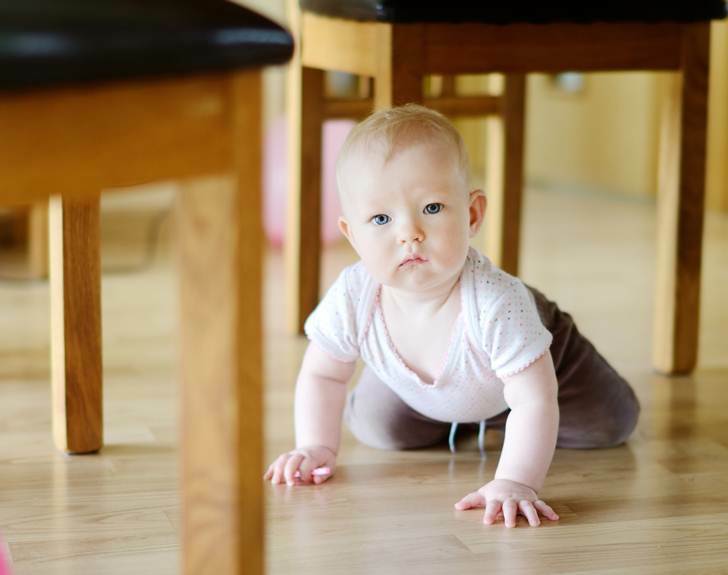 Be sure to keep surfaces, floors and especially home play areas clean, tidy and well dusted and mopped. It’s also wise to store toys on a shelf, instead of on the floor or another home surface, like a windowsill. The CDC recommends that you regularly wash your child’s hands as little hands can easily become contaminated from household dust or exterior soil, which are both known lead sources. Some research has shown that kids who eat healthy diets, especially diets rich in iron and calcium are less susceptible to lead absorption than kids who eat unhealthful diets. Some juices and kid snacks have also been shown to contain lead, so avoid those sources. Additionally concerning food, you should make sure that you always store food in lead-free containers, such as glass, BPA-free plastic or stainless steel. If you send a packed lunch to school avoid vinyl lunch boxes, as some have been shown to contain lead. You should also make sure your water system is lead-free. The EPA has an in-depth guide about how to test your water for lead. If your water is contaminated, you can use a filter to cut down on lead in the water. Don’t freak out about toys and playing outside, but do follow these tips for safer playtime fun that’s lead-free. Don’t allow your little princess (or prince) to play dress-up with lead-tainted cosmetics. Never buy cheap fake play jewelry for your child unless you can confirm it’s lead-free. TONS of play jewelry contains high levels of lead. Search through your toys and toss any that have chipped paint, broken plastic, or other major problems. Choosing eco-friendly toys can help you avoid lead. Avoid no-name generic toys and be extra careful when picking up toys for your child at dollar stores, street fairs, vending machines, thrift stores or yard sales. Buy non-toxic, safe, eco-friendly art and crafts supplies for your child. Lead has officially been banned from kids play paints, but some artist-minded paints may contain lead and other toxic metals. To be on the safe side, buy water-based paints and glues. Getting dirty is healthy, fun and something we recommend all kids do, but we do want your child to play safely in the dirt. Lead is naturally-occurring, which means lead may be present in soil, yards and playgrounds. Always wash up after playing outside and if you garden with your kids, wash all those fresh veggies extra carefully. Most importantly, sign up for toy recalls. If a toy is found to contain lead, you’ll get an email about it. There’s an easy blood test that can be used to measure lead levels in your child’s blood. For many years, children were identified as having a blood lead level of concern if the test result was 10 or more micrograms per deciliter of lead in blood. There are now new, lower levels in place which are based on U.S. children ages 1-5 years who are in the top 2.5% of children when tested for lead in their blood. Talk to your child’s doctor if you’re interested in a test like this. Considering symptoms are tricky, you may want to do a test, even if your young children seem healthy. You can also have your home tested for lead. Visit the EPA’s Lead Hotline page to learn how you can find a professional lead tester who will check out your home for lead using a variety of approved lead-testing methods. Keeping clean is great, but for cleaning the house and items, you need to wet wipe/dust. Lead contaminated dust is sticky and heavy, so dry dusting isn't enough. Also, you need to be sure not to re-contaminate surfaces, so use a new part of the cloth or wipe each time. When it comes to play jewelry, the CPSIA has made significant changes. Children's products cannot have lead about 100 ppm currently - but adult sized metal jewelry and vinyl jewelry items may still have lead present. Cheap metal jewelry tends to have the most . . . and kids tend to mouth the charms. Although lead poisoning often occurs with few symptoms (at first) it's still wise to know the signs of lead problems. The CDC notes that lead poisoning is 100% preventable if kids are kept from coming in contact with lead and if parents make sure kids who have been exposed to lead are treated immediately. The signs and symptoms of lead poisoning in young children may include irritability, weight loss, fatigue or general sluggishness, abdominal pain, vomiting, constipation and learning difficulties. Babies who are exposed to lead before birth may show signs of learning difficulties and slowed growth. Adults exposed to lead may experience high blood pressure, declines in mental functioning, pain, numbness or tingling of the extremities, muscular weakness, headache, abdominal pain, memory loss, mood disorders, reduced sperm count, abnormal sperm, and miscarriage or premature birth in pregnant women. As you can see, many of these symptoms are easily confused with other issues, so if any of these symptoms are present, it's best to see a doctor. What's even better is to prevent lead poisoning before it hits your family -- especially considering that the worst symptoms usually won't appear until very dangerous levels of lead have accumulated in the body. The simple act of tidying up can reduce your child's risk of lead poisoning. Cleaning surfaces regularly helps keep lead-based dust at bay. Be sure to keep surfaces, floors and especially home play areas clean, tidy and well dusted and mopped. It's also wise to store toys on a shelf, instead of on the floor or another home surface, like a windowsill. The CDC recommends that you regularly wash your child's hands as little hands can easily become contaminated from household dust or exterior soil, which are both known lead sources. Don't freak out about toys and playing outside, but do follow these tips for safer playtime fun that's lead-free. Don't allow your little princess (or prince) to play dress-up with lead-tainted cosmetics. Never buy cheap fake play jewelry for your child unless you can confirm it's lead-free. TONS of play jewelry contains high levels of lead. Search through your toys and toss any that have chipped paint, broken plastic, or other major problems. Choosing eco-friendly toys can help you avoid lead. Wash stuffed toys regularly. Avoid no-name generic toys and be extra careful when picking up toys for your child at dollar stores, street fairs, vending machines, thrift stores or yard sales. Buy non-toxic, safe, eco-friendly art and crafts supplies for your child. Lead has officially been banned from kids play paints, but some artist-minded paints may contain lead and other toxic metals. To be on the safe side, buy water-based paints and glues. Getting dirty is healthy, fun and something we recommend all kids do, but we do want your child to play safely in the dirt. Lead is naturally-occurring, which means lead may be present in soil, yards and playgrounds. Always wash up after playing outside and if you garden with your kids, wash all those fresh veggies extra carefully. Most importantly, sign up for toy recalls. If a toy is found to contain lead, you'll get an email about it. There's an easy blood test that can be used to measure lead levels in your child's blood. For many years, children were identified as having a blood lead level of concern if the test result was 10 or more micrograms per deciliter of lead in blood. There are now new, lower levels in place which are based on U.S. children ages 1-5 years who are in the top 2.5% of children when tested for lead in their blood. Talk to your child's doctor if you're interested in a test like this. Considering symptoms are tricky, you may want to do a test, even if your young children seem healthy. You can also have your home tested for lead. Visit the EPA's Lead Hotline page to learn how you can find a professional lead tester who will check out your home for lead using a variety of approved lead-testing methods.